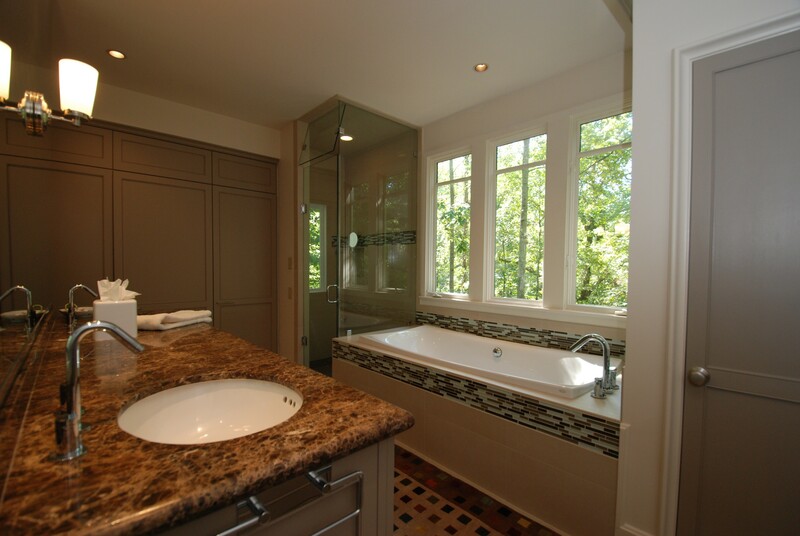 By changing the frosted shower enclosure, tub, and tile, we were able to create a spa like atmosphere that connects with the natural setting. 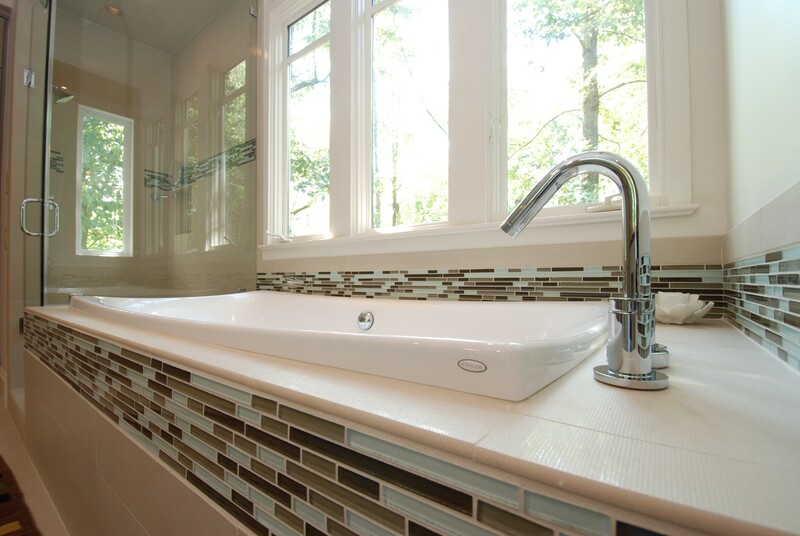 The glass accent tiles have cool blue and green tones that are complemented by textured earth toned field tile. 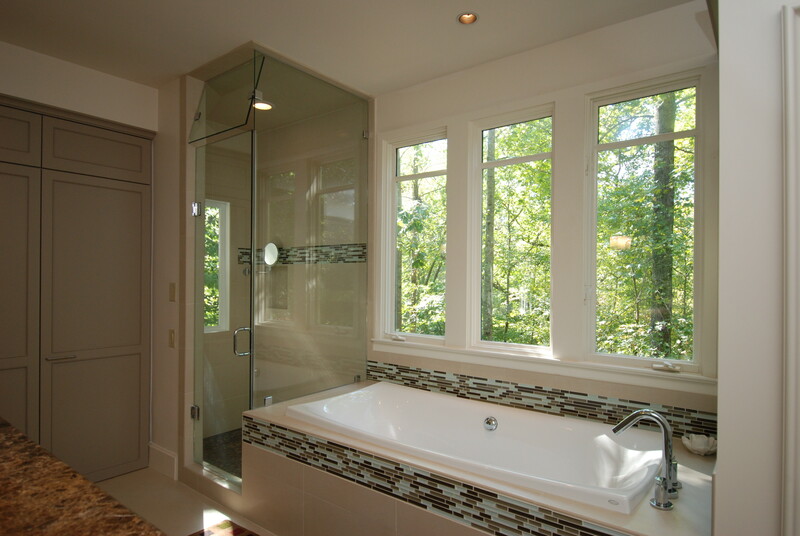 By using clear glass in the shower enclosure, the space is connected visually to the bathroom. 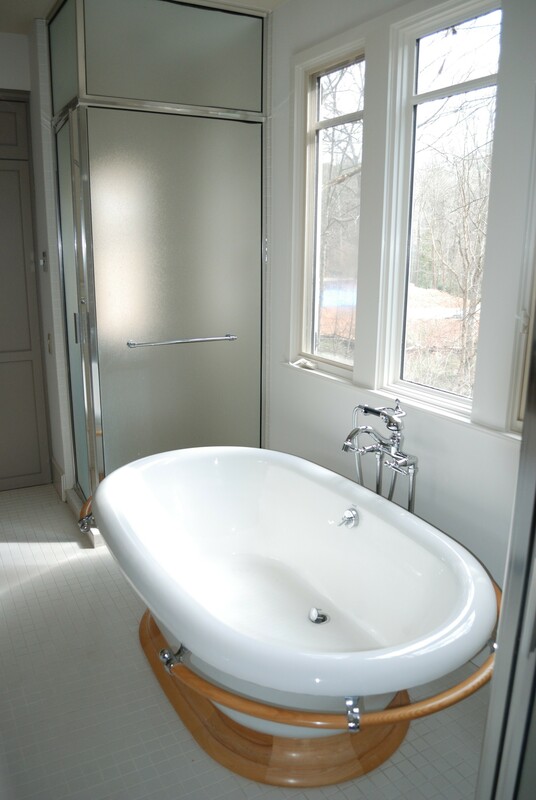 To allow moisture to escape after a steam shower, a custom movable transom was fitted above the door. An overview of the completed bathroom showing the vanity, and the new tub and shower. 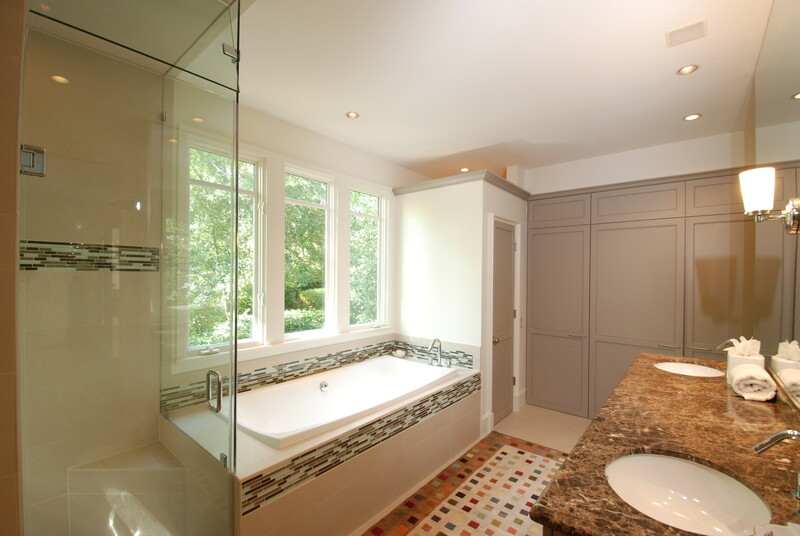 By using a frameless shower enclosure, the shower space is more connected to the main bathroom making it look bigger. Since the shower is a steam shower the enclosure goes to the ceiling and the ceiling is tiled. To let the steam escape we used a movable transom over the door. 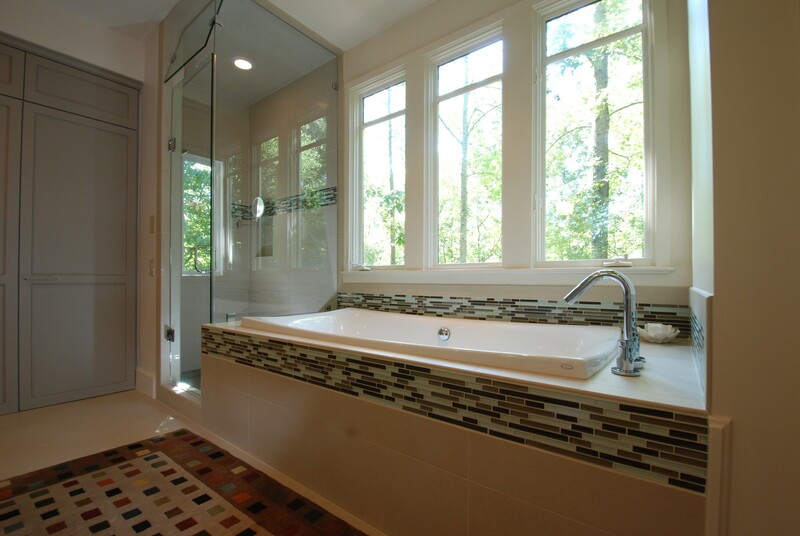 The glass band of tile accents the simple shower system. We added a fog free mirror makes quick work of shaving. The tub filler is simple with clean lines and the edges of the tub sweep creating visual interest and are a contrast the square lines of the room. A view of the room showing the new water closet with a custom door that matches the cabinet doors. The new tub fits the space better than the old free standing tub and flows with the room better. 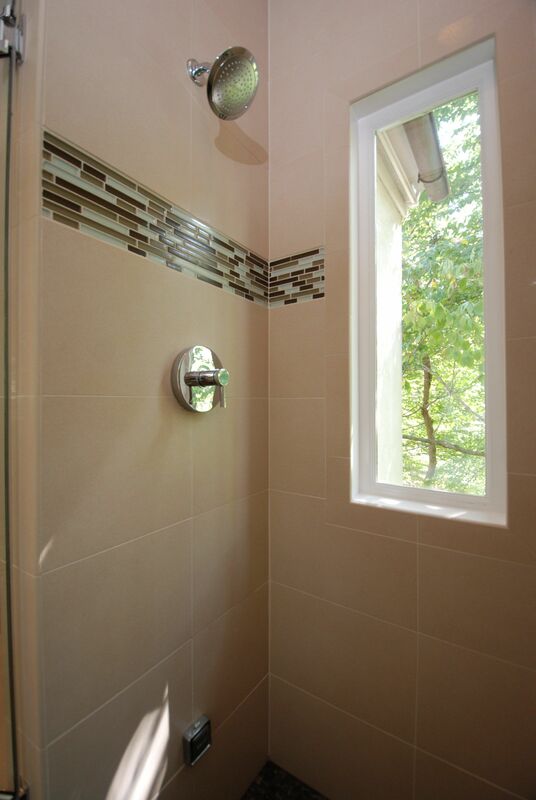 The band of glass tile around the back of the tub is repeated on the front of the tub deck and in the shower. 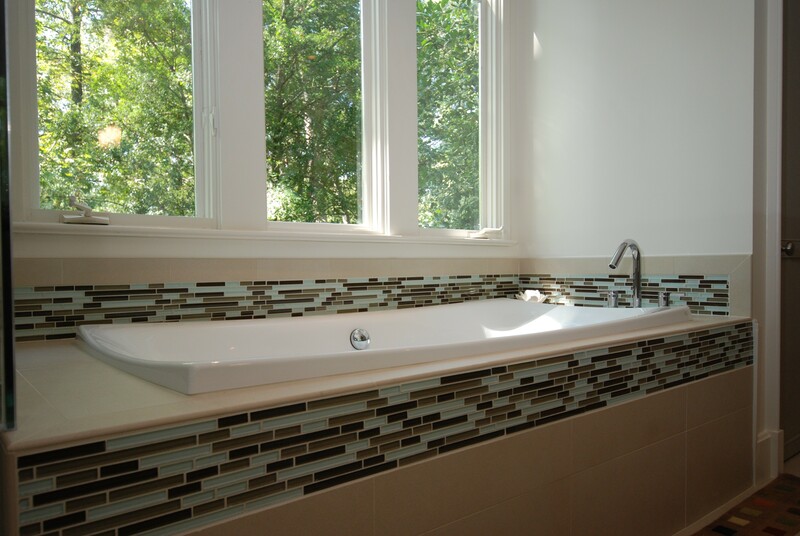 A detailed look at the tub accent tile. 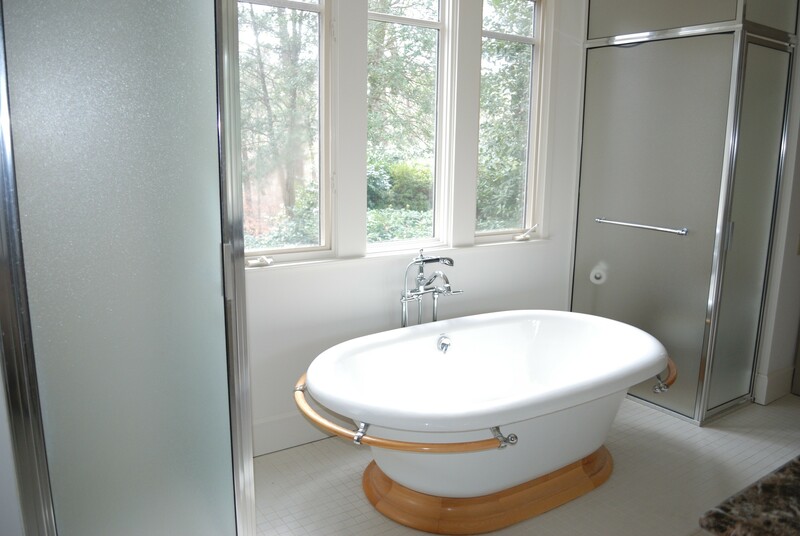 In the original bathroom, the free standing tub took up quite a bit of space. The water closet is on the right side in the frosted glass enclosure. Another view of the original bathroom. The frosted shower enclosure dates the room cuts the space off from the bathroom making the room looks smaller.